Houseboat Taurus: Your Home on the Water Right in Downtown! Property 2: Houseboat Taurus: Your Home on the Water Right in Downtown! 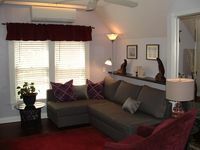 Property 10: Well appointed private guest suite in the S Broadway area, minutes to downtown. Property 33: Luxury cottage in beautiful Dartmoor village. Property 35: All the Comforts of Home! Property 37: SPECIAL RATES! Southern Pool with Spa, Privacy Fence, Star Wars Themed! Property 40: Charming Half-Duplex with a Lovely Ocean View Steps from Royston Seaside Park! Brand New Listing - Contemporary Villa with private pool. Property 41: Brand New Listing - Contemporary Villa with private pool. Property 43: Independent apartment with garden directly on the lake of Avigliana. Property 48: 2 Full Baths, Sleeps 8 in Locust Lake Village. Book for spring and summer! Valla's Beach House - Luxury Accomodation. Watch the Whales from your balcony! Property 50: Valla's Beach House - Luxury Accomodation. Watch the Whales from your balcony! Perfect place to call home for a few days! This place is even cuter than the photos show it to be. Great location - close to so much. Walt is a great host. We will definitely be back. We loved Isabel&lsquo;s apartment overlooking the beautiful Douro river in Porto, one of our favorite cities, now, in Portugal. Isabell is one of the loveliest hosts we have encountered on our many trips with VRBO. She was always available for advice And she checked with us each day to see how we were doing and give us more ideas. One of the restaurants she recommended, Intrigo, was just a few steps from the apartment and overlooks the river and watching the sunset there was one of our favorite things to do. We ate there are two evenings during our stay. We also enjoyed following the walks she suggested. You must not miss this wonderful city and this wonderful apartment.